San Lorenzo, CA, is a census-designated place in Alameda County. Its easternmost border is just east of Nimitz Freeway and extends west to San Francisco Bay. San Leandro is directly north of San Lorenzo and Russell City is immediately south. Approximately 24,000 people live in the community of San Lorenzo. 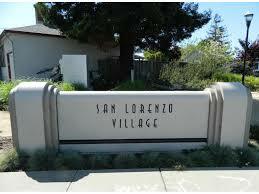 Also known as San Lorenzo Village, it’s the first instance of a planned community in the United States. Beginning in 1944, two and three-bedroom homes were built with designated land space for schools, hospitals, commercial development and recreation. San Lorenzo played a role in the gold rush in the mid-19th century. Early settlers came to the area to strike it rich and set up camp in the area. At the time, it was known as Squatterville, although at the end of the gold rush the area around San Lorenzo was once again mainly used for farmland. Wright’s Automotive Service is proud to provide exceptional auto repairs to San Lorenzo, CA. Our business is family-owned and cares deeply for our community. Our friendly staff members are dedicated to serving our customers with respect and honesty and love to be involved in community events. Our technicians are highly skilled and professional, making us your best choice for auto repairs. We are conveniently located just north of San Lorenzo off Washington Avenue. For knowledgeable repairs in San Lorenzo, visit Wright’s Automotive Service – your first choice for quality and convenience. Give us a call or use our convenient online appointment form to schedule your visit today!